Thank you for making a way for me to help my daughter, Ann. We just finished the entire Barton Reading & Spelling System. When my daughter was in 5th grade, she was diagnosed with dyslexia. But she was “not bad enough” to qualify for any special help in the school. Yet she was falling further and further behind each year. 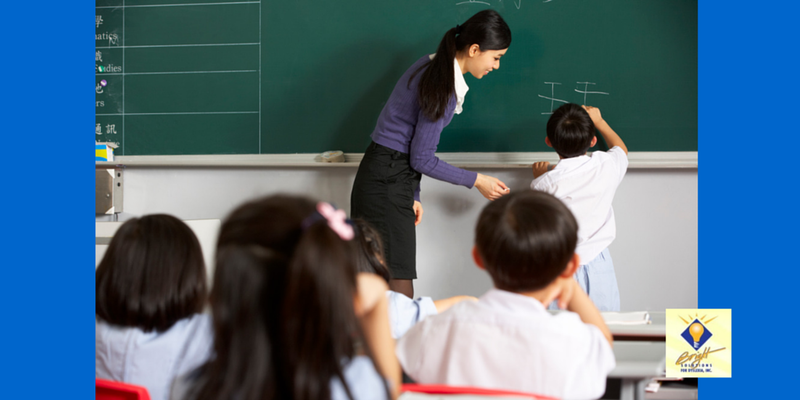 I was a stay-at-home mom, so I did not have the financial resources to hire a private tutor. Instead, I pulled her out of her full-time public school, and found a hybrid school that has your program, The Summit Academy in Colorado. I never would have had the confidence to even try to help Ann without your “scripted” lesson plans, and her teacher, Angela Dormish, who gave Ann your posttest at the end of each level. It took us two years, but we finished. I feel closer to Ann than I have in years. Ann will now go back into the classroom equipped with the skills she needs. I write this letter through grateful tears. May God richly bless you for your incredible work. I am having amazing success using the Barton System in my resource room. A young man transferred to my school at the beginning of 7th grade, barely able to read at a second grade level. He absolutely hated school and was often absent. His parents had tried everything. They had spent thousands of dollars sending him to Sylvan and to private tutors. They heard about the success I was having with the Barton Reading & Spelling System. After his school refused to get the Barton System, they fought for 2 years to get an inter-district transfer so he could attend my school and work with me. He is about to graduate from 8th grade with excellent grades, perfect attendance, and is now reading at a 7th grade level. He was even elected by his peers to be their Student Body President. Yet there is no one at the high school he will attend next year who teaches the Barton System. So a group of my students (who are now in the higher levels of the Barton System) are determined to start a Barton tutoring program there – and they have volunteered to be the tutors. In that case, fight hard for classroom accommodations – and get the right type of help after school. This parent did not do that – and regrets it. Dyslexia runs in my family tree. My father, who is 60, can still remember being in second grade and having the teacher call him up to the front of the class to read out loud. The teacher would force him to stand there and “do it until you get it right” – despite him crying in front of the entire class. I have a degree in Elementary Education, but we never had a single solitary course – not even a single lecture – on dyslexia. At end of first grade, I asked the school to test her for a possible learning disability. The school said they wouldn’t test her until at least 3rd grade. So during second grade, when she was not making progress in Tier 2 of RTI, I hired a highly qualified private professional to test her. She was diagnosed with moderate-to-severe dyslexia. But when I shared that report with the school psychologist, he stated that dyslexia does not exist, that Susan Barton’s website was not a valid resource, and we could not even get a 504 Plan because he felt our daughter did not need it. He claimed she displayed no difficulties and would prove to be a good student. Her teachers and even the principal were at that meeting, and they went along with the psychologist’s assessment – leaving us to wonder if we really knew what we were talking about. We were so confused that we decided to follow the school’s advice — and regret it. The school did eventually test her, but her scores were not low enough to qualify for Special Ed services. And her report card grades are not too bad. She gets low B’s or C’s. We have shown our daughter’s diagnostic report to other dyslexia professionals and organizations, and they have all agreed that she definitely does have dyslexia. Many states have recently passed, or are working on, a “Third Grade Guarantee” law, which includes mandatory retention for third graders who do NOT pass the reading portion of the end-of-year statewide exam. I am writing out of concern for my three children and Ohio’s Third Grade Guarantee. I have three very different children, and the guarantee will effect each of them differently. First, I have a 10 year old daughter who is accelerated. She has tested in the gifted range on her Terra Nova, and has scored well above the cutoff of the guarantee scoring — in the Accelerated range for math and reading. My daughter was afraid of failing the test because teachers are creating so much anxiety and placing way too much pressure on our students. Now, I have a second daughter who is a twin. She is 7 years old. Because she is a twin, I started to notice differences in her learning very early. At the age of 4, I began asking if she was dyslexic, citing she was having trouble remembering letters, numbers, rhyming, etc. I was assured that she was fine, and that her twin (my son) was just advanced. Fast forward to kindergarten, and first grade. I asked the same questions. In my gut, I knew I had to do something. So I pursued outside professional testing for my daughter. She was diagnosed with dyslexia, attention deficit disorder, and a visual processing disorder. We tried getting help through the school on several occasions, and were told, “We don’t do one-on-one tutoring, we don’t have the funds for that, we don’t have anyone trained to provide the remediation your daughter needs.” So I hired an Orton Gillingham tutor who was recommended by the International Dyslexia Association. Now, because she is not on an IEP, she is not exempt from the guarantee. Not exempt! A child with dyslexia, a visual processing disorder, and attention deficit disorder is not exempt from retention because of a single test? A child whose parents are paying over $5,000 a year to a private tutor because her public school cannot meet her needs? A child who was not identified by the school, but was identified because her parents paid for private testing? A child who works 5 times as hard as a student without dyslexia to learn, who is also working outside of school with a private tutor, may be retained because of a single score on a single test on a single day, in a single year? The same school system that told my husband and I that our goals “were too high” for our daughter. Our goals were that she meet the same benchmark as her non-disabled peers by the end of her second grade year. Our goals were too high? That is what we were told. We are being told that we should not hold our daughter by the same standards due to her disability, yet she will be held to the same standard when taking the OAA. The Third Grade Guarantee is not serving our children’s needs. Research has shown that retention will lead to higher dropout rates. Teaching to the test is devaluing our greatest young minds. We need to have teachers who can challenge our most gifted students, and specialists who can remediate our students with learning disabilities. We are doing the very best we can for our daughter. My husband and I are both professionals, and we know what is working for her. What recourse will we have if our bright daughter with dyslexia, a visual processing disorder, and attention deficit disorder, fails the OAA? She will get held back for what purpose? To receive the “extensive remediation” she is already receiving privately? Why is it a mandate to retain some of our brightest individuals based on a single test? Why are charter schools not held to the same standards? Why do public school students have to undergo more than a dozen standardized tests, while private school students do not? When will educators from the Ohio Department of Education realize that retention is not the answer? I just wanted to say thank you for all of the work you are doing for kids with dyslexia. I just finished watching Embracing Dyslexia. You were in it, and I liked what you said. I was one of the unlucky ones. In the 80’s, they had no idea what was wrong with me. I did not hear the word dyslexia until I was in junior high. By then, I was fighting the best I could just to keep up. My home life was not great. There was no caring or support from my parents. Some teachers made fun of me to my face. Others called me lazy. I was accused of not trying or being stupid. Starting in fourth grade, the school put me in special ed classes. But they put everyone with special needs in the same room. The teacher had to help one kid who was in a wheel chair, a different student who was mentally retarded, one who had behavior problems, and a small group of us in the corner who seemed to be “faking it” because we were bright and smart, but we could not figure out how to read, spell, write or do math. Needless to say, my childhood was not fun. I was beaten down mentally and physically. Mrs. Barton, never stop doing what you are doing. Make sure no other kid has to go through what I went through. Make sure everyone understands what dyslexia is, and how they can help kids through it. In elementary school, Lisa was in special ed because of her severe dyslexia, dyscalculia, and ADD. She also had buck teeth (the kids called her “beaver”), so she was a walking target for bullying. Lisa had very few friends, and extremely low self-esteem. The bullying became so brutal that I switched her to a more caring private school for junior high. The team members told Lisa that due to her low scores, she would NEVER earn a regular diploma (a modified diploma was the best she could expect), and they shared that no special ed student had ever become a cheerleader. Lisa hated her special education English class. It took half a year and countless meetings, including one with the head of special ed for the district, to convince them to give Lisa a chance to be in a regular English class. They warned her that she would have to prove she could handle the material to remain in that class. The next year and a half was a real struggle. Lisa put in extremely long hours of study and work. She even made up the first semester credit of that Freshman English class by going to night school at a local community college (a 2 hour commute) because the high school said it was not a “credit recovery” class. Something amazing happened at the end of her sophomore year. Lisa was selected to be on cheer, and it changed her life forever. She learned her cheers, learned to do the stunts, learned that people could like her, and started to believe in herself – all while maintaining a high enough GPA to stay on cheer. In her junior year, Lisa became her own advocate at her IEP meetings. She insisted she had what it takes to earn a regular diploma. The IEP team did not believe her, but agreed she could try. Fast forward to this year – her senior year. Lisa is doing extremely well. She has a 3.6 grade point average. She has just passed all 3 of the required graduation tests, so she will get a regular diploma. Yesterday, we had her final IEP meeting. Not one of the people who had originally told her she could not be on cheer, or get a regular diploma, showed up to congratulate her. I realize they are busy people, but I so much wanted to tell them NOT to give up on students – and to give them a chance to follow their dreams. Lisa is proof that through hard work and dedication, dreams really can come true. I watched your video on dyslexia, and I am exactly like your brother’s child. I am 48. I am using Naturally Speaking software to write this. Otherwise, I would spend my entire day trying to fix my spelling mistakes. I’m at the point where my heart is on the floor. I have tried every program in school, out of school, and on the internet. At the moment, I’m doing a program that is supposed to increase your brain power to try please my mother for the last time. My tears were flowing as I watched the demo of your program. Your program is the best I have seen in all my life. It makes so much sense to me. I’m upset to realize that the form of dyslexia I have is complicated. I am also sad because I know this problem will never go away. I don’t have to tell you the agony that a person living with dyslexia goes through. Because of that, when I was 16, I decided not to have kids. And that was a wise decision. I am 30 years old. I have always struggled with reading. I received extra help in school through Title 1 Reading, Special Ed, and summer school. As you might suspect, I hated school and would avoid going whenever possible. Recently, I was at a seminar for my work and was asked to read out loud to the group. I was mortified. Is there anything that would help me – an adult who has struggled for so many years – read better? I am a deep thinker. I love learning about different religions and talking about God with my friends. So I would like to get a Masters degree in Theology. But with that degree, I would end up being a teacher – which I am afraid to do because I would have to write things on the board. I would also have to grade papers, so I would need to know more about punctuation than just a period and a comma. And I might even have to read passages aloud to the class. As the following man shared, companies that employ dyslexic adults are often willing to pay to improve their skills. I am 56 years old, and I have tried a lot of things during my life to overcome dyslexia. It started when I was in second grade. I can remember my mom crying when she tried to teach me my spelling words. I attended summer tutoring for 4 years in a row to try to learn to read. Finally, the tutor said he would not work with me any more because it was a waste of money. I took phonics in college, but it did not help. In fact, I failed a speech therapy class because I could not hear the sounds. Your video nailed me to a tee. When you talked about left and right confusion, that’s me. I always use spell check, and yes, sometimes it does say “no suggestions” or I pick the wrong word from the list because I can’t read them all. I am in charge of a region with 145 centers that generate hundreds of millions of dollars in revenue. My company is trying to find something to help me. Is it too late? If not, what would you recommend? No, it is never, ever too late to greatly improve the reading, spelling, and writing skills of adults with dyslexia. The oldest student I personally worked with was 69 years old when we started. The oldest Barton student I have met was 83. If adults get at least 2 hours of one-on-one tutoring by someone using an Orton-Gillingham based system designed for adults, such as the Barton Reading & Spelling System or the Wilson Reading System, their skills – and their self-esteem – will get so much better. I have a daughter who just finished first grade. I am pretty sure she has dyslexia. The last two months of school have been a nightmare of real and feigned sickness and tears every day as she tries to get out of going to school. Jane struggles so much and ends her day so sad and frustrated due to journal writing, or even worse, having to copy poems from the board. What makes it even worse for her is seeing every other kid at her table do it faster and better. My daughter’s school is recommending summer school. My worry is that their summer school is not going to help her – and it may make her hate school even more. Most summer school programs just teach the very same reading program your child got during the school year, which will not help someone with dyslexia. So I tell parents to say “no” to summer school, and instead, get your child the right type of tutoring – with the Barton System or any other good Orton-Gillingham based system — for an hour a day, every day, during the summer. I am the mother of an extremely bright, frustrated, and sad 8 year old girl. We have been struggling to find answers to her troubles within the school system. Everyone knows she is very smart, but her written work reflects the exact opposite. She cannot spell or get ideas into written form. The teacher claims she just needs to study harder, or she is just being a “difficult” child. Kids bully her and refer to her as “dumb” and “stupid.” This is so far from reality. She is extremely articulate, has a wonderful imagination, loves information, and thinks things through very carefully. I want her to aspire to all that she can be. She is so bright and so interested in the world. But if I don’t find some answers soon, she is going to fall through the cracks and continue on this downward spiral. I must say that your video is superb! I cried a lot as you described my son. I wish teachers and administrators were required to watch it – as I’m sure my son would have been caught much earlier, and that would have saved him (and us) a lot of anxiety and stress. For the past two years (during first and second grade) school became such a stressor that my husband and I not only looked forward to the summer break, but we would get start to get anxiety attacks in August . . . realizing school was about to start again. I’m sure whatever we were feeling was 10 times worse for our son. My son just started 3rd grade and I can see that brick wall before us. He can read, but his reading speed is so slow. It took us 2.5 hours to get through 16 pages of a small chapter book last night. By fourth grade, they often qualify for special ed. But that doesn’t make school any better – as this parent shared. My son is in 4th grade. He has dyslexia. He is a special ed student. His regular ed teacher is so ignorant of dyslexia. She wants my son to participate in a 4th grade spelling bee because she wants to “challenge” him. My son is terrified and traumatized at the thought of standing up in front of his classmates and being humiliated – again. My son is in 7th grade, but his reading fluency and comprehension have been stuck at the 3rd grade level for years – despite years of special ed services, and despite my following their advice of forcing him to read out loud to me for 20 minutes every day. When he passed 6th grade, I was thrilled because newspapers, magazines, and job applications are written at the 6th grade level. So we bought a box of brownie mix to celebrate. I was crushed when he could not read the cooking instructions on the box. My early school years were horrible. No one knew what to do with me, so they just passed me through each year. But I had to attend summer school EVERY summer. I hated it, and it never helped. I grew up thinking I must be stupid because it took so much time to read, study and retain information. I am pretty sure my 7 year old daughter has dyslexia, too. I see so much of myself in her. She is struggling with reading and has started saying that she hates school. I will do anything to prevent the torture I went through as a child from happening to her. So, parents, if you know or suspect your child has dyslexia, just say “no” to summer school. Get them the right type of tutoring instead. I have been trying to get my son’s school to test him for dyslexia or a learning disability. But they refuse. They say my son gets good grades, and I should be proud. I am proud of my son, but he struggles with reading and spelling. Homework that takes children without dyslexia 30 minutes takes my son over 2 hours – with lots of frustration, yelling, and tears. I also had dyslexia as a child. What surprises me is nothing has changed in our schools. Parents, if you think special education services are the answer, read this. My son is going in 4th grade but is reading on a 2nd grade level. His spelling is also very low, and he is dysgraphic. Although he has an IEP, I have seen very little improvement over the past 2 years. The worst part is he has given up on learning. He claims he just doesn’t care. It’s very hard to engage him in any kind of learning at school. He would rather act up than learn. Susan, I just watched your video. It made me cry. I have known for months now that my youngest daughter probably has dyslexia. She has been devastated by school and her inability to read. This bright child is sinking deeper and deeper into despair … about school … and about herself. I cried because I realized that my brother probably suffered from this as a young boy, I probably have this to some degree, and so does my oldest daughter. I did not realize there was such a strong genetic link. How could I have missed this? I do not believe support is going to solve the problem. She needs to be taught in a way that she can actually learn. Parents, stop waiting for the school to change. If your child’s school does not provide intervention using an Orton-Gillingham based system by someone who is well trained and uses it properly, then hire a private tutor to provide it during the summer – or get the Barton System and tutor your child yourself. 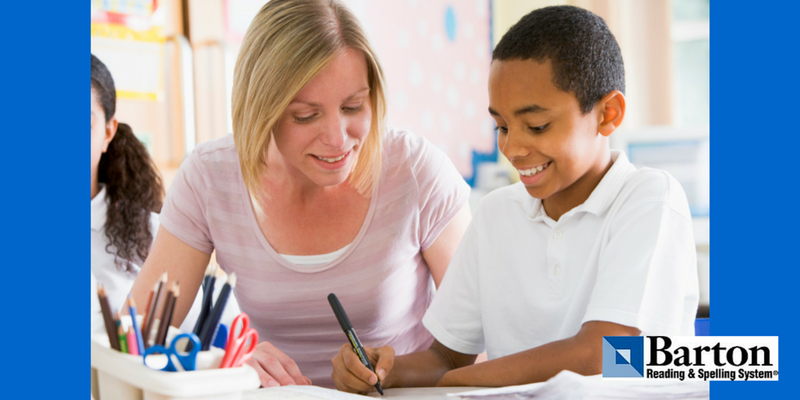 A child’s skills can improve tremendously over the summer – if they get the right type of tutoring. I need some help to decide what to do for my eight year old son. He is finishing second grade, but he has never read at grade level. The principal wanted him to repeat first grade, but my husband and I refused, so he was sent to second grade. He has worked with the reading specialist one-on-one for two years with no improvement. I asked his teacher last year if he could be dyslexic. She told me that was not possible. She claimed he just had a behavior issue. I disagree and feel that he lost a year because of her poor attitude. He was diagnosed with visual acuity issues and Irlen Syndrome, but after eight months with no improvement and horrible migraines, we decided to involve our pediatrician. He sent us to a pediatric ophthalmologist at a university who said my son does NOT have a vision problem it all. His said my son has dyslexia, and he felt my son’s headaches were caused by the tension and stress of not being able to do the work. Yet he recommended we wait until he is 9 to be tested by the school because the gap will be greater. His school has promised they will test him for Special Ed services next year. The problem is I don’t want the gap to get any larger. I want to help him now! If you know or suspect your child has dyslexia, waiting is the worst thing you can do – because it will not go away. Your child will only get further and further behind. Every parent who has contacted me during the past 20 years wished they had started providing the right type of tutoring sooner. So do not wait for the school to test him. Start tutoring him now using the Barton Reading & Spelling System or any other good Orton-Gillingham based system. Tutor him every day during the summer – while the pressure of school, homework, and tests is gone. You will be amazed how much his skills can improve with daily tutoring. And if you think that qualifying for special ed services is the answer, read on. From what I see, the biggest hurdle for these students is what happens AFTER the students are placed in special ed. I have a 12 year old son who is in 6th grade. He attended a private Christian school until 4th grade. They noticed his reading struggles in second grade and put him in a reading lab. It was worthless. We got his eyes checked, and the doctor said he had a tracking problem. We spent more than $ 2,000 on vision therapy and eye exercises that did not help with his reading. He has gotten private tutoring, speech therapy, and gone to a number of tutoring centers. We have spent countless amounts of money on him. Everyone told us he would either grow out of it, or he would learn to compensate. In 4th grade, we moved him to a public school, hoping to get more services for him. He did qualify for special education due to his reading. We thought we finally had the answer. Wrong. He is now in 6th grade, yet he is still reading at a 2nd grade level and is a horrible speller. They work with him one-on-one in the resource room, and they allow him to listen to books so he can keep up with what his classmates are reading. But he still is not learning how to read, write, or spell. I am soooooo frustrated. I have cried. I have been angry. I have been humbled. I have prayed and prayed and prayed. God finally gave me peace about not pushing him so much and not being too hard on him. But he is not getting any better. He studies the weekly spelling list for hours and hours, yet he forgets the words by the following week. Yet he gets A’s and B’s on his report cards, which amazes me. Our public education system has become a joke. He is in 6th grade and can’t read or write anywhere near grade level, yet they are giving him A’s and B’s. There must be so many other children who are also slipping through the cracks, and so many parents at a loss. I would like to start tutoring him using the Barton System, but he absolutely refuses to try one more program or tutor – because in the past, they have all done more damage than good. Thank you so much for helping us help our daughter. We learned about Learning Ally through you. We learned about classroom accommodations through you. And we found a great Barton tutor through you. It has been a joy to watch my daughter grow from being a reluctant 3rd grader to an engaged 4th grader. She still has a lot of work with her tutor, and we will have many other challenges, but knowing there are resources that we can use to help her be successful is an unbelievable comfort. Susan, I have to thank you for all you do. The support and knowledge you have shared has helped me with my daughter in so many ways. Two years ago (after we gave up on the school) we had her tested privately and discovered she has dyslexia and ADD. That’s why she would never read out loud in class, or even to us. Yesterday (after two years of Barton tutoring and appropriate accommodations) she stood in front of the entire school …classmates, teachers and parents … and delivered an amazing (and confident) speech about why she should be SCA president. I knew she was special and had many gifts, but yesterday she proved it to herself and her school. She said “challenges make you stronger and wiser” (which is what her speech was about). My husband and I sat back last night thinking of the last two years, and we realized how hard she has worked…but she never gave up. Kids with dyslexia are tough. I am not sure I could do what she has done, but I am glad I was there to encourage her along the way. Thank you for all your help and guidance. We couldn’t have done it without your support!